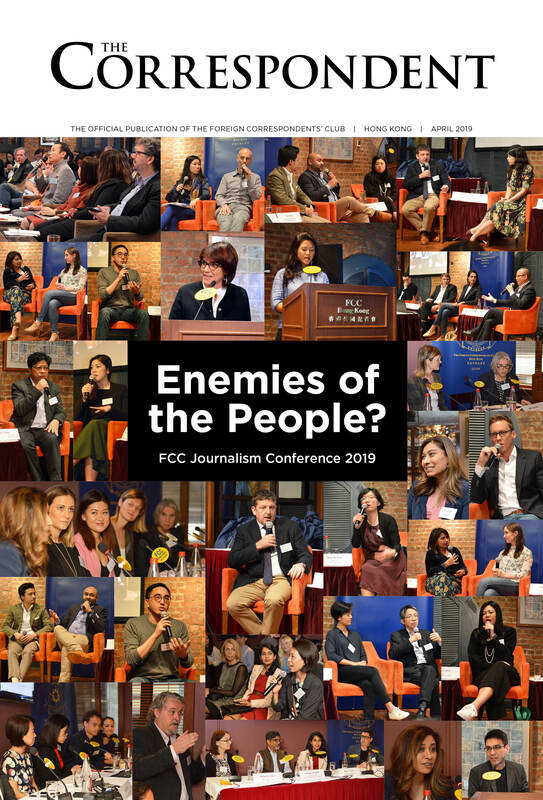 David Tang had a long connection with the FCC: as a speaker on four occasions from the early 90s; and as a friend to a number of members. Sadly, he is no longer with us to entertain and inform us with his wit, directness and sometimes penetrating insights… and he turned political incorrectness into an artform. He was also a shameless dropper of names, though quite often in an amusing context. And he did know all those names and they knew his. His last visit to the FCC was in February 2016 when in an amusing, erudite and at times inspirational speech, he talked about what has happened in Hong Kong and what needs to done. He was highly critical of CY Leung’s leadership — and slightly less so of his successor Carrie Lam — and his and the government’s handling of the Umbrella Movement, “perhaps the single most significant political event in Hong Kong since the riots in 1967”. In this talk, which went viral on social media, he said CY didn’t “have the bottle to confront difficult issues” and often showed his “contempt… for the citizens of Hong Hong”. When Tang established the China Club in Hong Kong in 1991 — with its wonderful art collection and library — he engaged two FCC photographers Bob Davis and Richard Dobson to do some shots. Both preferred a club membership in lieu of fees… and got them. Bob dined out on that story for years. Another photographer Guy Nowell lived next door to Tang’s “country” house in Sai Kung. While he also did some well-paid photo shoots for Tang, he also became an occasional lunch guest. Guy remembers some great days of wonderful stories — and sometimes rants — told with great zest. Although Tang was best known as an entrepreneur (Shanghai Tang, Island Tang and China Tang) and a philanthropist, he also dabbled in the journalistic arts as a columnist for the FT. The FT’s House and Home section editor, Jane Owen, had her work cut out for her when she got Tang on board as columnist in 2010. He began as what was ostensibly an interior design agony uncle. Of course, it very quickly turned into a more general column full of name-dropping and anecdotes and what constitutes good manners. Some loved it, some hated it and some swore they would never read it… and then casually, without meaning to, got hooked on it. There was no question that Tang was passionate about Hong Kong’s drive towards democracy and admired Chris Patten’s role in this. “You couldn’t have a greater champion than [Patten] in trying to install a system of government or politics that would maximise the possibility of Hong Kong people ruling Hong Kong,” Tang said.